The gathering together of family is what Christmas is about for us. It starts with daughter Hazel and her family - you will have seen Grandaughters Beth and Sophie and of course my wife Sue in many a lens review. 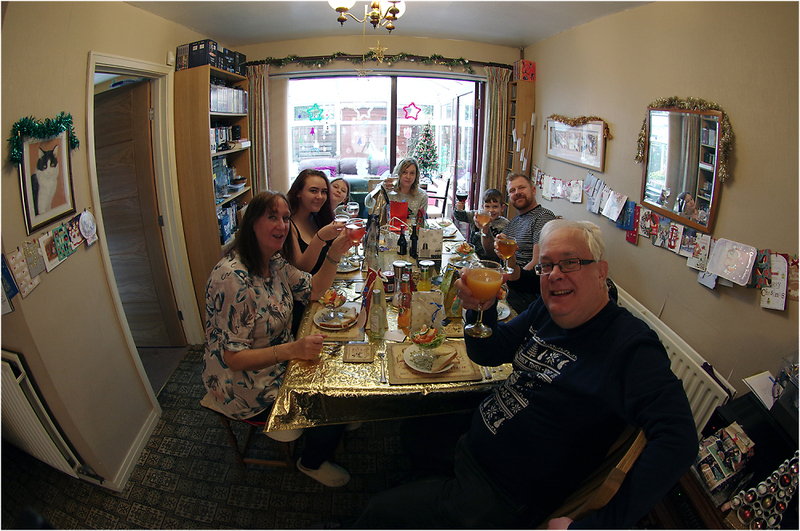 Here we are just about to start Christmas Dinner, and we all raise our glasses to you!